John was born November 4, 1927 in Grouse Creek, Utah, the seventh of nine children of John Hadfield and Pauline Warburton. His brothers and sisters are: Delbert, Herman, Reed, Richard, Mary, Emily, Ellen, and Thelma. He attended schools in both Grouse Creek and Brigham City, graduating from Box Elder High School in 1945. He entered the Navy in December 1945 and served for two years aboard a minesweeper in the Pacific. He returned home and enrolled at Utah State University. He fell in love with Kathryn Hunsaker from Honeyville, Utah. They were married for eternity on April 12, 1950 in the Logan LDS Temple. They lived their entire married life in Brigham City. He and Kathryn raised three sons and three daughters. They are: Ben, Kathy, Jolene, Jeff, Kim and John. At the time of his death, he had 21 grandchildren and 42 great-grandchildren. He worked a number of years at Hadfield Furniture, then spent the rest of his career at Thiokol. He started there in 1957 when there were less than 100 employees. Jack served as the Bishop of the Brigham City 22nd Ward. He and Kathryn served from 1993-1994 as missionaries in Forest Hills of the California Roseville Mission. 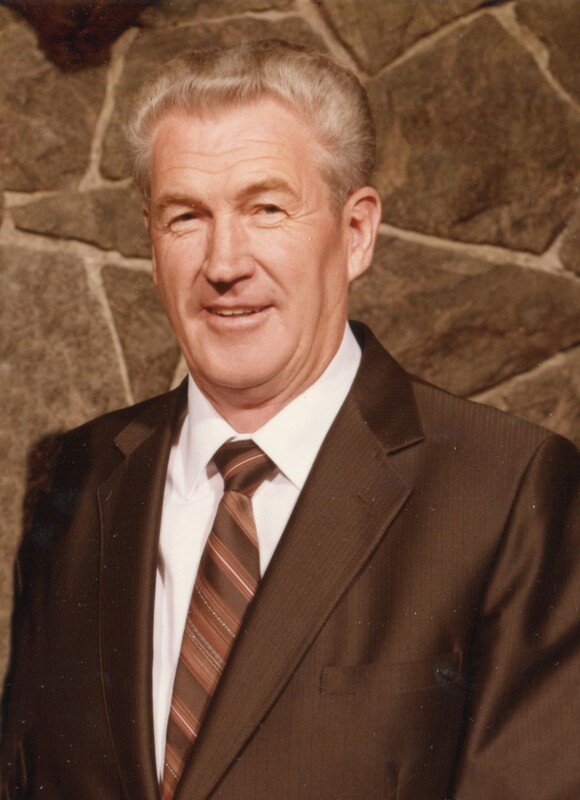 For 21 years, he served as Patriarch of the Brigham City West Stake. Jack’s hobbies included fishing, bird hunting and basketball. He helped the Brigham City Fourth Ward win the LDS All-Church basketball tournament three times between 1948 and 1953. But most of all, he loved spending time with his family. In September 2017 he was privileged to participate in an Honor Flight to Washington, D.C.
John Warburton Hadfield (Jack) passed away December 18, 2017 at the age of 90 and is buried in the Brigham City Cemetery.